Volker visited this year for the first time the Pingtung kite festival in Taiwan. On the 20st of may, the kite fliers traveled from a stopover night in Taipei towards Pintung in the south of Taiwan. 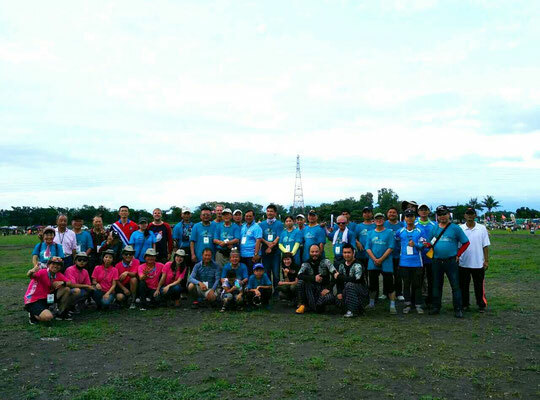 The festival was supported by kite fliers from Australia (Robert Braisington), Malaysia (Chew and Tan from Malaysia), China (Peter Lin and Mr. Zheng), Japan (Mr. and Mrs. Sakuraba and Mr. Honda) and many Taiwanese kite fliers. 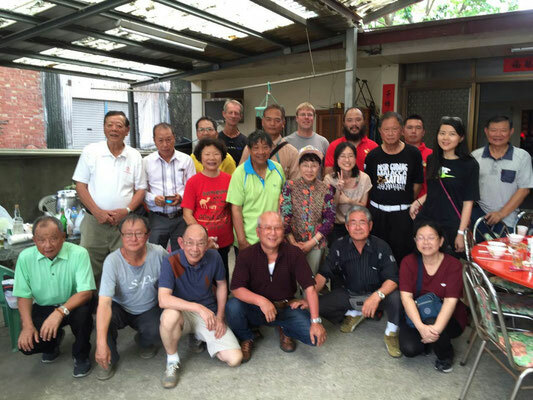 On the bus ride from Taipei to Pingtung, the tour bus made a stop in Chiayi to get a great lunch at the home of Mr. Wong. In the afternoon of the 20st, the kite field was approved by the kite fliers, the wind was smooth and in a good strength, the hot sun was slightly reduced by high clouds. 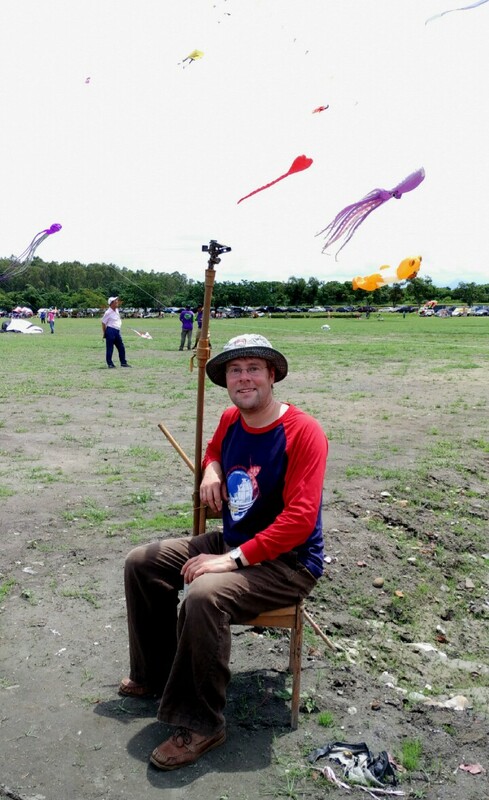 Well, the next day was a bit different: The wind was light, the clouds were low and a few drops of rain fell onto the kite field. 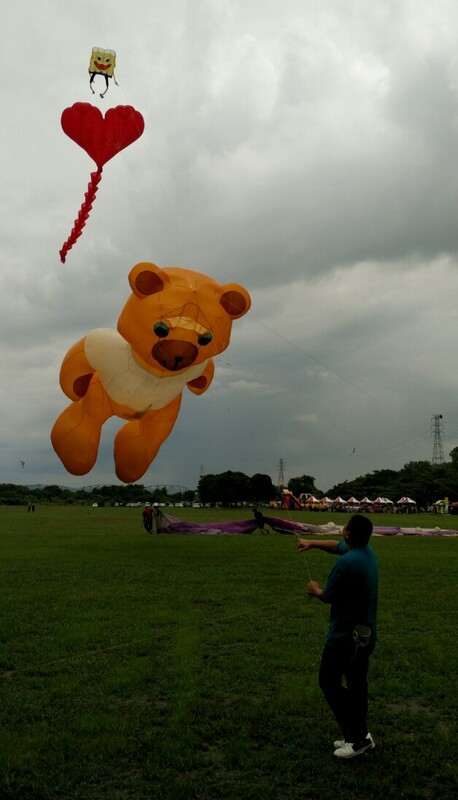 Some drops even hit the kites. 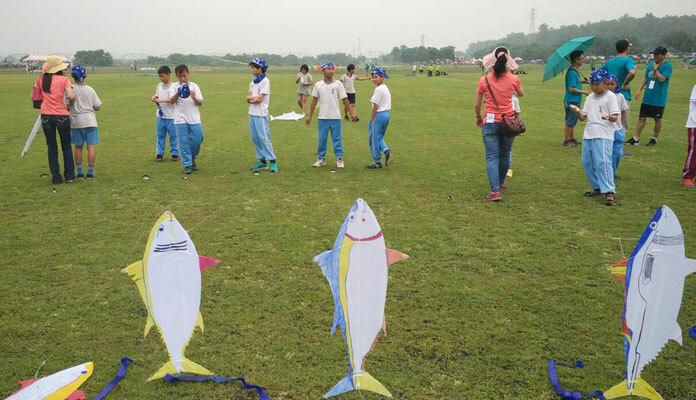 In the afternoon, around 250 students came to the kite field and each of them flew a blue-fin tuna shaped kite. 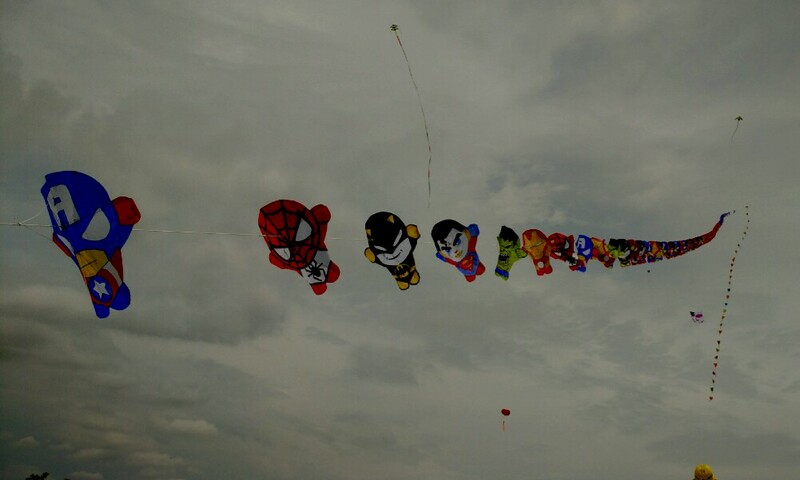 The kites were obviously hand painted by the students end each one was a unicate. 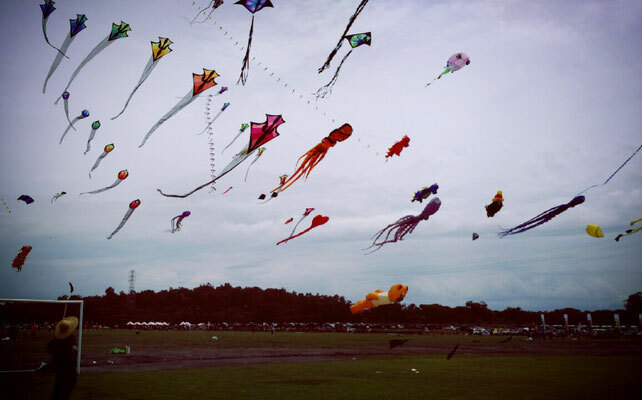 The kites flew surprisingly well, with realistic movements of the fins. The tuna design was chosen due to the local Pingtung Blue-fin Tuna festival, which took place in may. 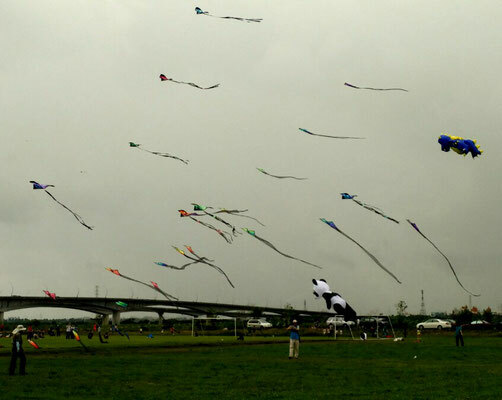 During the day, most of the time it was just enough wind to fly dry kites. 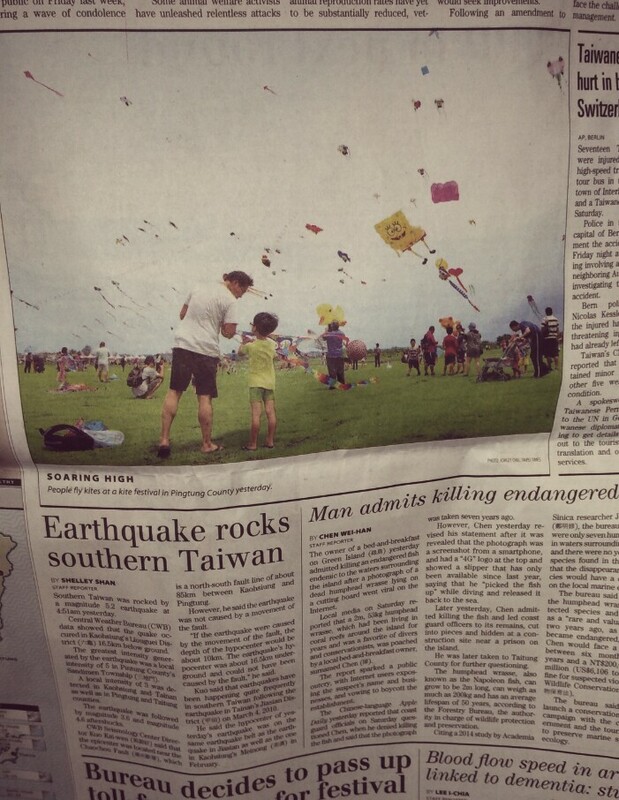 Except for some early birds who get stocked kites far (+200m?) 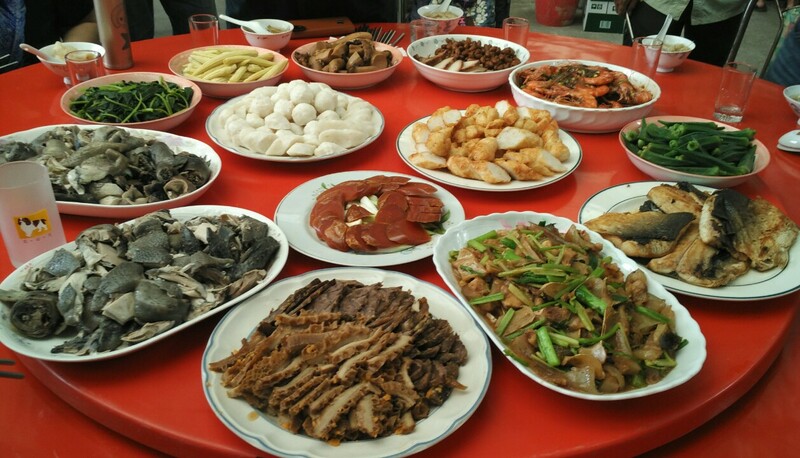 up in the morning. those stayed up more or less the whole day. The next day started at 4:51AM: A little earthquake ( http://www.earthquakenewstoday.com/2016/05/21/moderate-earthquake-5-mag-was-detected-near-pingtung-in-taiwan/ ) shook the beds as an early wake up-call. 5 min later, most people slept again. 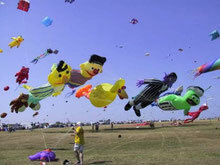 The wind was better on Sunday, and except of two short periods of rain, it mainly stayed dry. 2 kites cut/ line overpower (probably affected by Kevlar lines and a changed offset on the field due to sliding anchors) Unfortunately, the 2 kites needed a recovery by a 150to. crane on Monday. 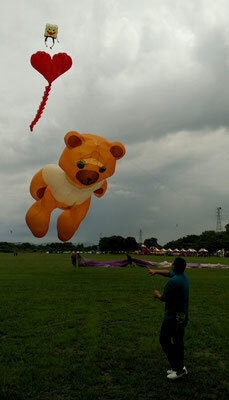 Volkers kites stayed clear of trouble, the golden Teddy was grounded and deflated during the gust and rain and fly 20 min later again below the heart and sponge bob. 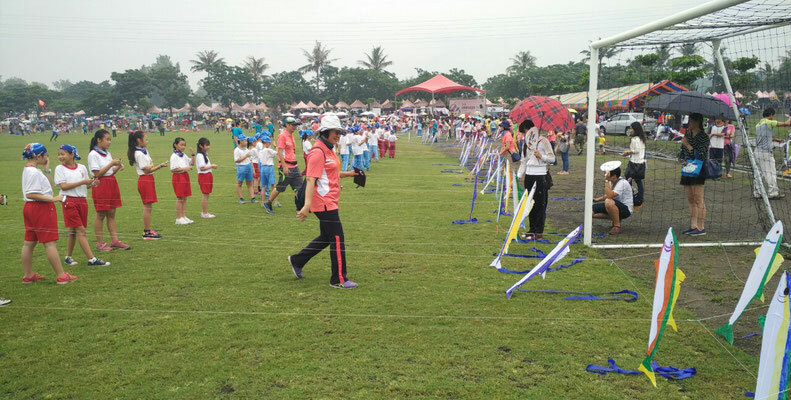 In the late afternoon, a bit more rain reappeared. As many had packed already, not much became wet. 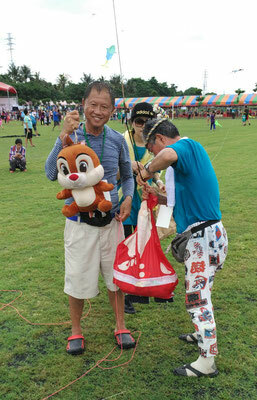 The few wet kites were dried until the next day in the hotel. 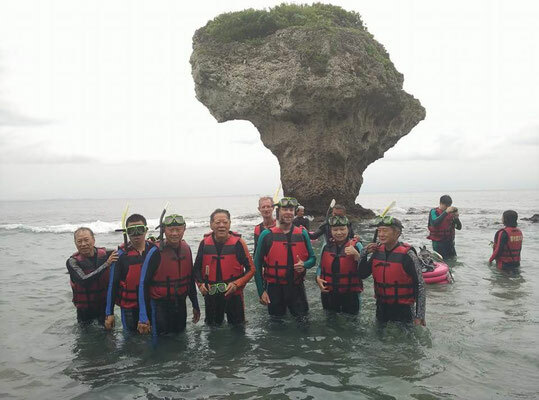 On Monday, some kite fliers had the opportunity to join a day trip to Liuqiu Island, 10 miles off the coast. Several kite fliers went snorkeling and could discover the rich maritime fauna and flora of the south Taiwan sea. 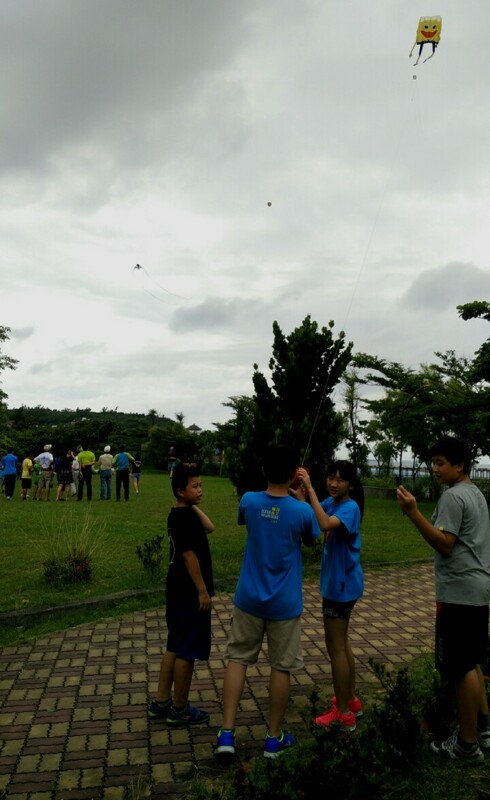 A short kite flashmob at a school was another highlight of the trip. 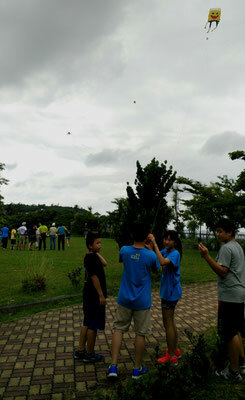 The local students were quite keen in the kite flying. Although the Saturday had challenging conditions, everybody had some good possibilities to show kites to the numberful spectators. We all hope that next year there will be an even bigger Pingtung kite festival. 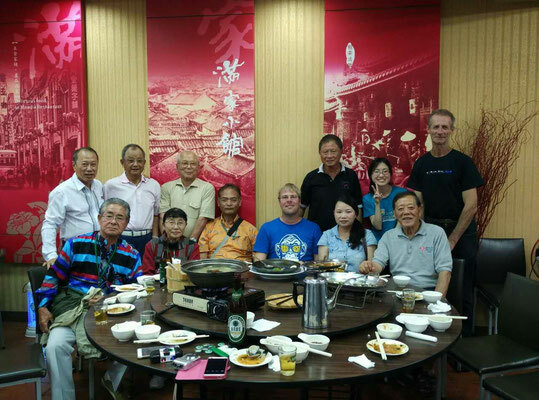 Thanks a lot to Jonathan to make this event possible.